This Saturday, people from all over the country will come together in Washington, D.C. to celebrate and look back at a historic event that forever changed the nation. It will certainly be a moment for me to reflect on the journey that I have taken in my own life and to evaluate the future of our country. I recently found a picture that was taken on August 27, 1988, which was a gorgeous summer day in the nation's capital. 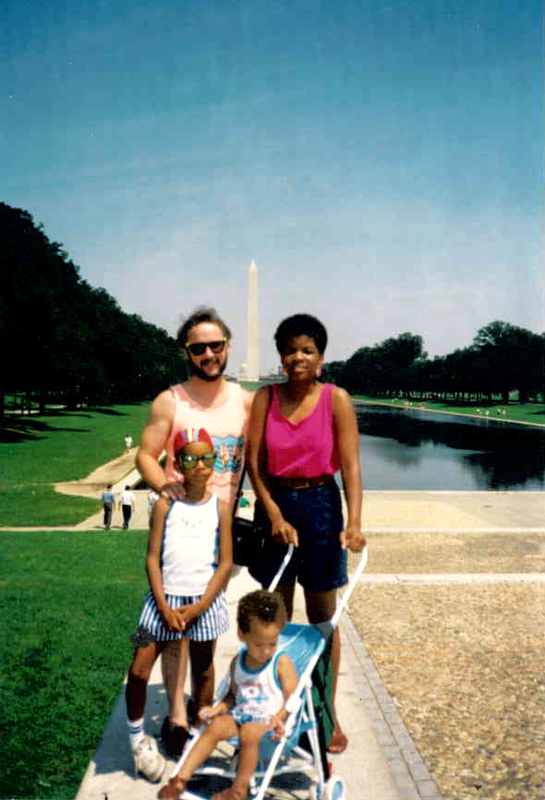 It was a photograph of my two young sons, my former husband, and me standing with the Washington Monument and the Lincoln Memorial Reflecting Pool in the background at the 25th Anniversary of the March on Washington. I remember that we wanted to capture that moment, not only for ourselves, but to share it with family and friends who couldn't attend and to serve as a reminder of how far we thought we had come since the 1963 March on Washington. In 1988, I was only 31 years old. I was a wife and mother, and it seemed like I had my whole life ahead of me. I recall being filled with optimism and hope, believing that the country had taken great steps forward toward a more just and fair society. In the aftermath of the Civil Rights Movement, I believed that little black boys, like my sons, would grow up in a country where they could dream big dreams and become anything that they wanted to be. I distinctly recall explaining the significance of the 1963 March on Washington to my seven-year-old son, Solomon. I wanted him to understand the importance of the Civil Rights Movement, and how it changed the landscape for African-Americans in this country. The 1963 March called for the passage of major civil rights legislation, the elimination of school segregation, raising the $2 minimum wage, and the enforcement of the 14th Amendment by reducing congressional representation from states that disenfranchised citizens. I may have been naïve but I thought that by the time we commemorated the 50th Anniversary of the March on Washington in 2013 we would have so much more to celebrate as a country and as a people. Maybe that was wishful thinking because back then I didn't think that I would have to worry that my grandchildren would have to fight to maintain full voting rights. I didn't think that I would have to worry about the possibility that when my grandson left the house in the morning he may not return home alive in the afternoon. I didn't think that I would have to concern myself that it is more likely that my grandson could end up in prison rather than on a college campus. Today, we are no longer required to take literacy tests prior to casting our ballots; we are no longer forced to sit in the back of buses; and our children no longer study in segregated classrooms. However, while de facto racial segregation was abolished in America, African-Americans and other people of color still face discrimination. We are still struggling with an achievement gap in school systems throughout our nation; and we still face discrimination in banking, employment, housing, and health care. So when my youngest son, Jonathan, and I go to the March this weekend, I will remember pushing him in a stroller in 1988, when he was only one-year-old, but on Saturday, I will also stand next to a tall, handsome, self-assured, and wonderfully accomplished young man and talk with him about the work that still has to be done. I will talk to him about the role that he and his brother must play as full and actualized citizens of this great democracy. My sons, who are both college graduates, and one with a family of his own, will carry the torch onto the next generation and the struggle will go on. "Whatever the future may have in store for us, one thing is certain-this new revolution in human thought will never go backward. When a great truth once gets abroad in the world, no power on earth can imprison it, or prescribe its limits, or suppress it. It is bound to go on till it becomes the thought of the world."